I recently spent a wonderful week on the south island of New Zealand at the 5th Global Botanic Gardens Congress. On the very last day of our visit we made it to the gorgeous Dunedin Botanic Gardens for a morning spent oohing and ahhing over the gracious lawns, gardens and magnificent trees. 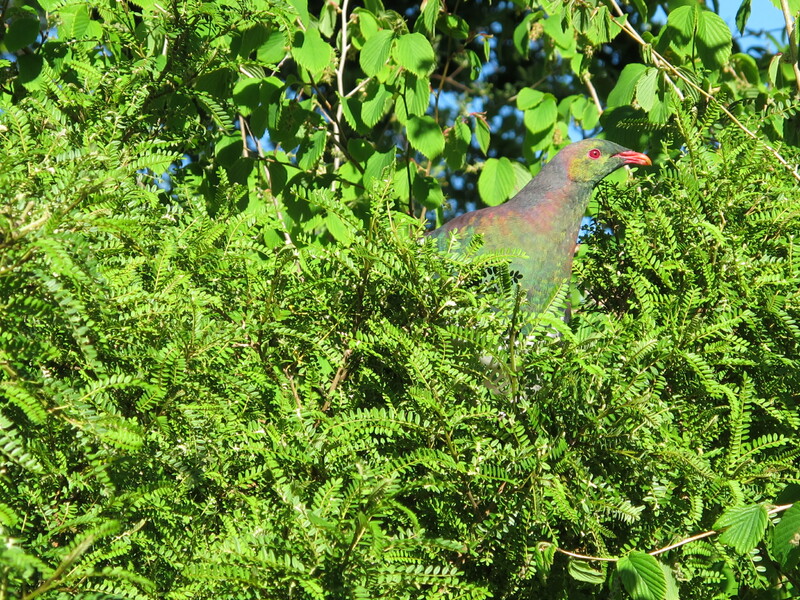 Just as we were leaving we found this beautiful creature pecking away at leaves in trees just near the entrance gates. It was kind enough to pose. You can click to make bigger. 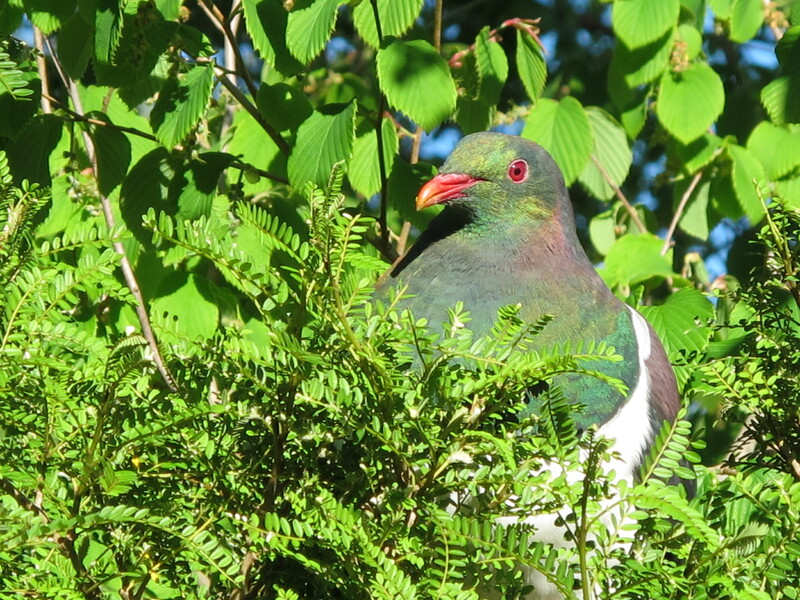 More on the lovely native wood pigeon here.